As a team that loves to travel like nomads, we wanted to make a new way for people to experience traveling. We felt a way this could be done was to make traveling a game by rewarding users for their actions. This would allow them to interact their fellow travelers with and record their adventures better than ever. NomaD runs by being linked to the users travel rewards account to track a users travel history. 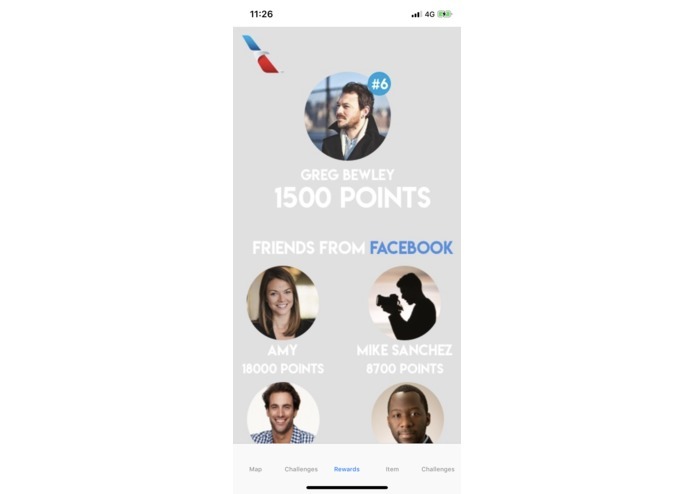 The user is rewarded points based on their travels and the completion of challenges set by airlines implementing our app. These challenges could possibly look like "take a picture in front of the Eiffel tower during your trip to Paris". Similar photos taken at the user travel destinations will be geotagged and added to an interactive map within the map. This will enable the user to relive their travel memories with ease. The user can save photos on these pins making it easy for the user to pull up photos from their trips. 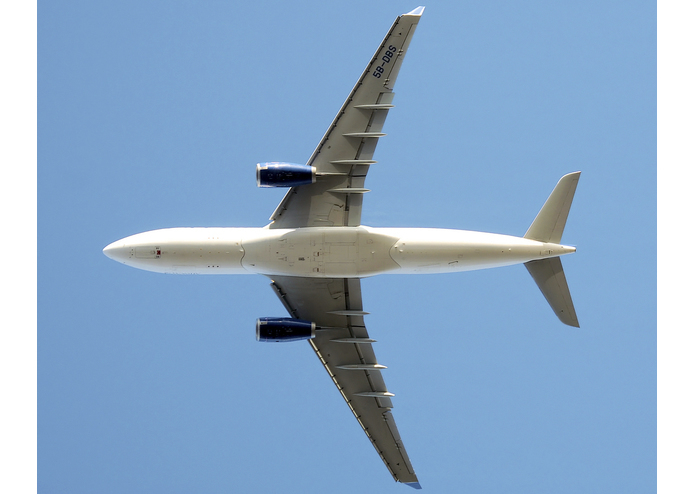 Points earned during the users travels can then be converted into miles or perks during flights as decided by the airline. It will also enable users to see the recent travels of their close friends and family along with photos shared by them. We started off by using a Heroku backend and we developed a native iOS app using Xcode. We used the core engine supplied by American Airlines. 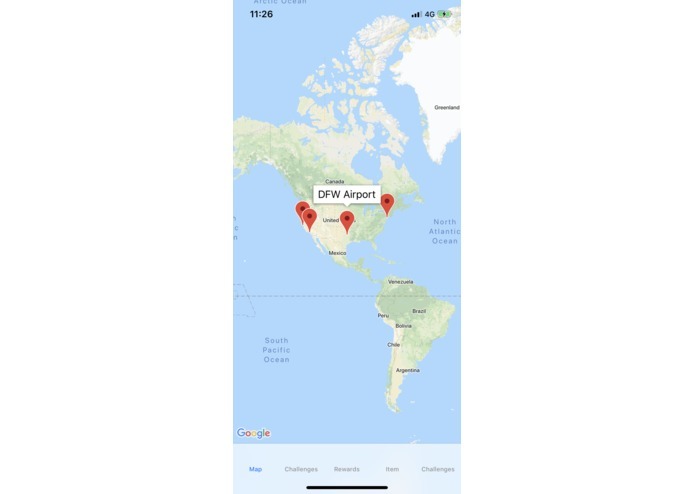 We used Google maps for the map part and integrated the airports from the data provided. Challenges and Rewards we’re implemented into the application. The main challenge for us was navigating through the Facebook API and integrate that into our swift code within the time that we worked on the application. Connecting to the swift 4.0 url challenges. 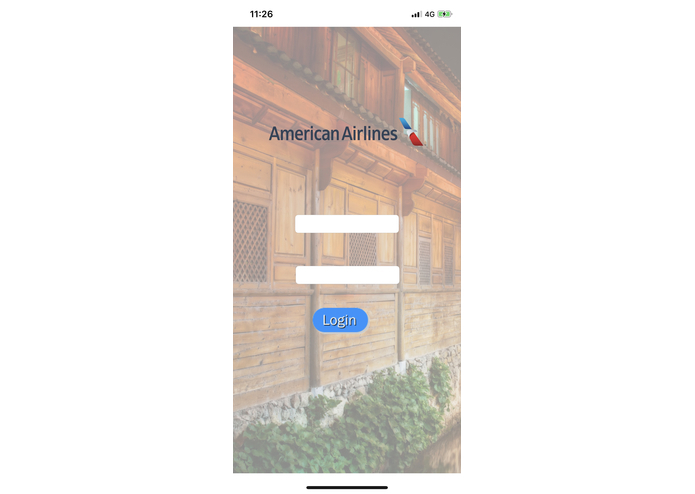 We managed to get a proper layout design of the application and were able to integrate user, flight and airport data along with google maps API Integration efficiently and accurately. It’s good to be ambitious when selecting an idea for developing a certain application, but we had too many complicated ideas and ended up brainstorming for a few more hours rather than using that valuable time on coding the application and working on implementing the interface. We learnt more about how swift works with different APIs, especially and two of our team members were unfamiliar with swift, this project gave us decent exposure to it. NomaD isn’t just an application, it’s a movement. If it gains enough impetus, it could turn into an independent social media platform for frequent fliers and avid travelers. 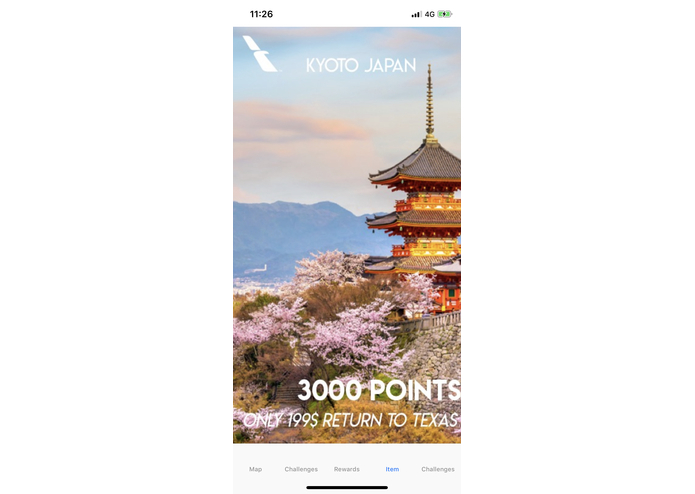 This application will enhance the travel experience by providing travelers with excitement tailor-made go their own travel taste and rewarding them for what they love doing the most; TRAVEL.